I've done a fair few posts on handbag resources, mainly on where to buy bags, where to research them and where to get them authenticated. 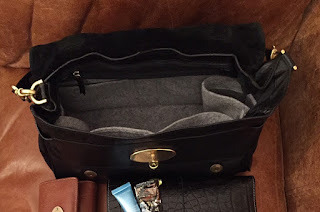 I haven't really done a post yet on where to buy items for your bags though - so here a few that either I or my friends have used and are happy to recommend. A long list of models (I just counted 232! ), great choice of colours and potential to customise existing designs, for example by adding a keyring or zip closure or removing bottle pockets, make these felt liners a good choice. Quality is great. Beware though that these ship from from South Korea. Shipping times for Europe are advised to be 2 weeks, USA 2-3 weeks, Australia 3 weeks. I have received liners after about 7 days but also had to wait about 4 weeks before. Communication can also be patchy. At the helm of this fairly recent startup are Louise and Jon, who produce all of their liners in the UK. They offer a smaller range of liners but if you're looking for one for your Mulberry you're bound to find the style you want and they are constantly expanding their offer. In fact, I have just been told that two new styles are due to be added very soon. Production time can take up to the advertised 10 days when they are busy but as they ship from the UK you will have them in less than two weeks. As they are such a small new business you currently have to wait for them to open their store and be quick to place your order. I believe they are planning on increasing their capacity, so I expect this will improve soon. You can also buy a wide selection of Collonil products as well as a few other bits for your bag, such as little pillows that mean you no longer have to stuff your bag with oodles of tissue paper. And last but not least you will find both of them hugely knowledgeable in re to all things leather care and Collonil. The liners I had from here were all soft ones, so if you're looking for something that will give your bag structure, you might be better off looking at Love Lolo or Samorga. However, Pereia's liners are great if you want to just protect the inside of your bag or like the convenience of being able to move your contents from one bag to another. Shipping from the UK, I always received my order within just a few days. If a seam becomes undone your most economical bet might be a good local cobbler. 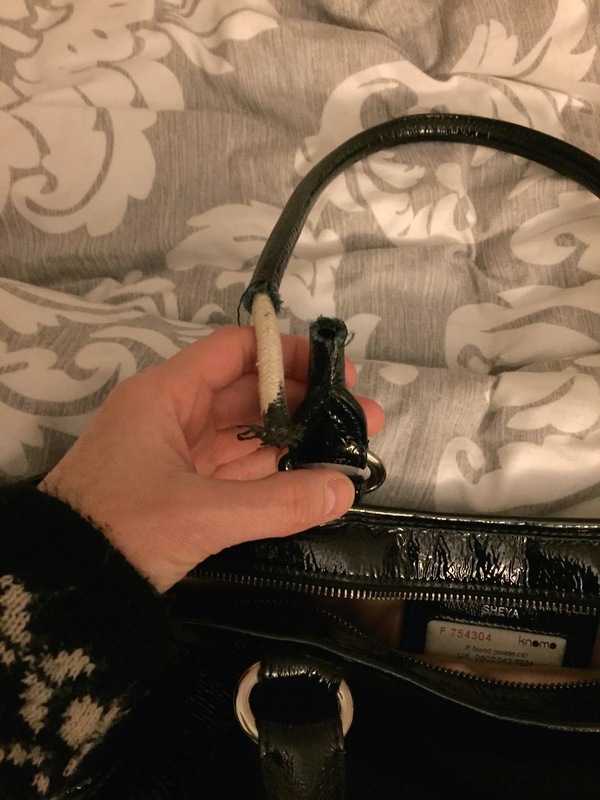 More complicated damage can be tricky to put right though so you want to make sure your bag will be in safe hands. When it comes to repairs I keep going back to Alan at Lincs Repair. Alan does not only repair bags but is an absolute leather expert. He has a real passion for his work and strikes a perfect balance between liking a challenge and thinking outside the box to find a way of resurrecting that heirloom worthy bag and being realistic, advising you on what can and can't be done. Nevermind repairs. You might just want to send your handbag on a little holiday, after which she will emerge beautiful and refreshed. From repairs to rejuvenating treatments, they aren't cheap but apparently well worth it. A spin off from the Furniture Clinic, they know a thing or two about leather and offer not only their own range of care products but also restored handbags. Whether you lose a strap or want to add one to a bag that never had one the following three are my first ports of call. At Mautto you can either pick from one of their many ready made straps or you can chose the leather and hardware and have a strap made to your specification. You can even order leather samples to get as good a match to your bag's leather as possible. This little Etsy shop offers guitar style straps in various patterns and they look great, especially with some vintage styles. Designs change, so if you can't find a style you like, check back later. If you misplaced a strap for your Mulberry bag, you can probably order one directly from them. Sometimes this requires you sending in your bag to ensure that the leather can be matched, though sometimes you just have to show your bag at the store. A strap for an Alexa will set you back £108 - not cheap but you will have a brand new strap with Mulberry hardware. Unfortunately you cannot order a strap for a bag that was never intended to have one. Do you have a favourite place to buy goodies for your bag? Would love to hear! Thanks to Independent Fashion Bloggers for selecting this post for your Links à la Mode! Please do check out some of the other brilliant posts below.